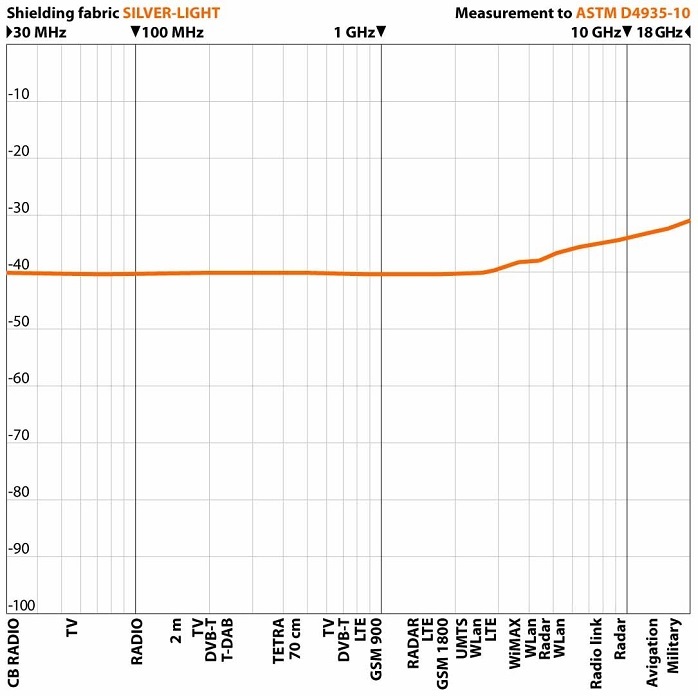 Silver Light is a transparent fully silvered polyamid knit fabric for the protection against high frequency (HF) and low frequency radiation (LF). Typical application as net curtain, often used as room divider in laboratorys, medical practices, to shield technical devices, etc. Special features: 1) SILVER-LIGHT is lighter than SILVER-TULLE and therefore contains less silver. On applications with frequent movement SILVER-TULLE is more stable. 2) Competitors advertise exactly this material with 48-50 dB attenuation, whats wrong. 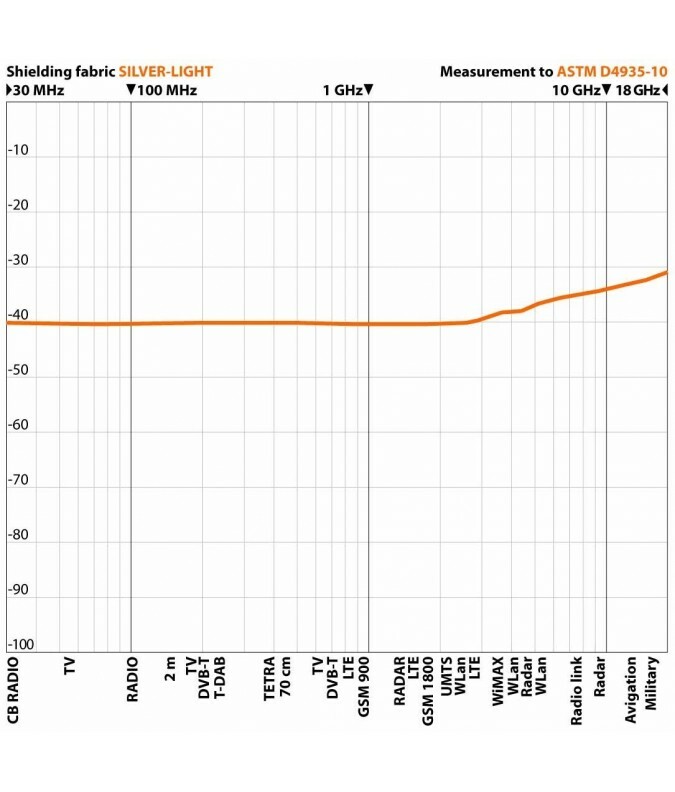 SILVER-LIGHT has 40 dB, however what’s an excellent value for such a light and thin knit fabric.